The Organised Labour has insisted on embarking on a nationwide protest over the non-implementation of N30, 000 as the new National Minimum Wage, yesterday in Abuja. The Federal Government says the National Minimum Wage Bill will be transmitted to the National Assembly on or before January 23, 2019. 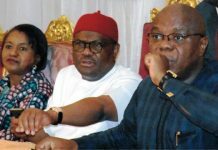 The Minister of Labour and Employment, Senator Chris Ngige, said this while speaking with newsmen after a closed-door meeting with the leadership of organised labour yesterday in Abuja. Ngige said that the Federal Government and the organised labour had signed a Memorandum of Understanding that on or before January 23, the National Minimum Wage Bill would be sent to the National Assembly. “On the part of government, we are going to try to religiously implement all the processes that will enable us to transmit this bill within the stipulated time. “We have a target time of January 23, and we hope that all things being equal, the executive will be able to do so. The minister, while commending labour for its cooperation and understanding, called for the withdrawal of the threat of an industrial action, saying that it was no longer necessary. 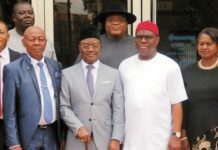 Also speaking with newsmen, Nigeria Labour Congress (NLC) President, Ayuba Wabba, said they had agreed that on or before January23, the bill would be transmitted to the National Assembly. “We have agreed that the agreement reached should be documented and it should be signed by government representatives and organised labour; we thought that is a more firm commitment. “We believe with this, we can actually start following up the process; we have asked them to keep faith with the timeline, so that it will be concluded, as the minimum wage issue has been on the table for the past two years. 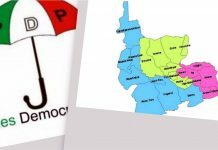 He also noted that the NASS would resume from their recess on January 16 and that since the legislators were desirous of ensuring that Nigerian workers earned decent wage, they would also do the needful. “We will shift our lobby to the NASS because once the bill is enacted, the money will be in the pockets of the workers. “The issue of industrial relations is always addressed at the round-table. We have been diligent in the whole process and workers have been patient. “So, we are committed to the process and hope that the timeline will be respected. “We will put this across to our organs and give them all the details contained in the Memorandum of Understanding,’’ Wabba said. 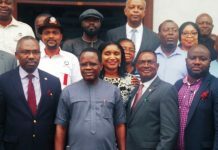 Meanwhile, organised labour, yesterday in Abuja, urged President Muhammadu Buhari to immediately transmit the new National Minimum Wage Bill to the National Assembly. President of Nigeria Labour Congress(NLC), Mr Ayuba Wabba, made the call at a protest rally. 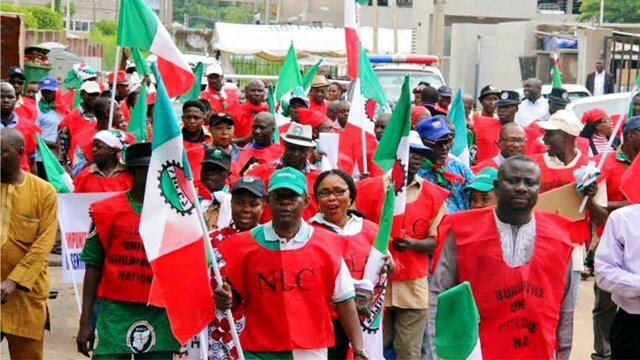 The National Executive Council of NLC had threatened to embark on a nationwide protest on Jan. 8 if the Federal Government fails to send the Tripartite Committee Report on N30,000 Minimum Wage bill to NASS. 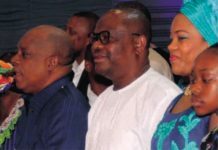 The organised labour gave the ultimatum following President Muhammadu Buhari’s statement that a “high powered technical committee,” would be set up to device ways to ensure that its implementation did not lead to an increase in the level of borrowing. According to Wabba, “workers’ welfare and wellbeing must be paramount, that was why we insist this rally must take place across the length and breadth of the country. “Today, in every government house in Nigeria, the protest is taking place, and here we are in the office of the Minister of the FCT. “So, workers must be able to take care of their families, send their children to school. But today, workers are not able to feed three times a day or send their children to school. “Because minimum wage of N18,000 is no longer realistic to take care of workers’ needs,’’ he said. Wabba said that N30,000 was agreed on, adding that Nigerian economy is capable of sustaining the new minimum wage. “We are here to submit our letter of protest and demand like our states councils are doing in their various states right now, to the FCTA Minister for onward transmission to Mr President. “We want to call on Mr President for the onward transmission of the bill to the National Assembly as the protest rally served as a warning before a nationwide strike,’’ he said. Mr Amechi Asugwah, the President, Construction and Wood Workers Union of Nigeria, who spoke, decried government’s posture towards the implementation of the national minimum wage. He said that workers decided to take the action, because they “ have waited more than enough, and we are running out of patience. “As a matter of fact, we do not need to serve another notice before embarking on a nationwide strike. 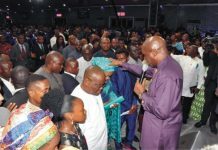 “We have decided to take strong action to drive the issue of the minimum wage as it concerns workers in the country, “he added. Mr Lazarus Gaza, Head of Human Resources in the FCTA, who received the protest letter from the NLC president, assured that the letter would be delivered accordingly. Senator Shehu Sani, who represents Kaduna Central, said he was there to lend his support for the struggle for the new national minimum wage. Meanwhile, the Minister of Labour and Employment, Chris Ngige, and representatives of Academic Staff Union of Universities (ASUU) have risen from a meeting with both parties agreeding to put an end to the ongoing ASUU strike in order to give the Federal Government time to sort out the subsidy issue with Nigerian Labour Congress (NLC). The Federal Government has also agreed to meet some of ASUU’s demands. In the interim, ASUU has suspended its strike but vowed to embark on a six-month strike if the agreements reached are not implemented. “We urge all students and lecturers to return to their respective schools from (Wednesday) 9th of January,” the union said in a statement. The Federal Government had, last Monday reached an agreement with members of the Academic Staff Union of Universities (ASUU). “The Pension regulator, the PENCOM, has asked certain positions to be fulfilled and they gave ASUU a temporary licence, which has expired. “ASUU has submitted all the documents and fulfilled all conditions needed to get their licence,” he said.